Being a parent is the last thing you’d associate with being cruel to children or causing pain. Sadly, a lot of parents fly under the radar of physical abuse by exacting emotional abuse on their children. The thing with emotional abuse is that it’s hard to notice. Not even the children suffering from emotional abuse can clearly explain what bothers them, and most parents don’t even realize what they are doing to their children. But emotional abuse is always what leaves the longest and deepest scars on individual’s psychological structure. These subtle signs can be used to recognize an emotionally abusive parent, or a child in trouble. They ignore the child and its needs. 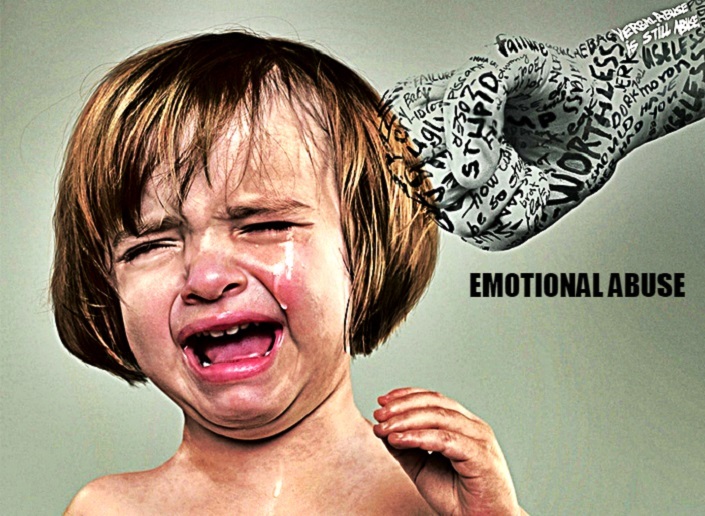 Being a little haphazard or a little overwhelmed is not being emotionally abusive. Emotionally abusive parents are not even interested in their child, so to speak. These parents are more concerned with their own life and satisfying their own wants first. They rarely connect and interact with the child, and often are a no-show to many important milestones in the child’s life, sometimes even when the child is sick. Such children are often affection deprived. In the case of infants and very small children, such behavior can be seriously detrimental to their health, because they are so delicate and entirely dependent on their caregivers. This is the most characteristic behavior for narcissists! These parents will consciously or subconsciously indicate to their child that he or she is unwanted and unloved. Such people are so inherently self absorbed, that they resent the child’s presence. With time, the gap between them tends to widen, especially since withholding attention is also a typical feature of these people. Constant belittling and mocking, criticism, directing all blame at the child, all these things are very severely emotionally damaging to children. These behaviors result in the child growing up with a psychological setting that they don’t deserve to be loved, or that they are not enough and need to constantly prove their worth in order to be loved. They threaten or terrorize their children. These kind of parents use their size to constantly keep children in a state of fear. Even when they are not actually physically abusive, or don’t hit their children outright, they do smaller and less publicly noticeably things like looming over the child and screaming, or throwing things at the child. Another habit is that they single out one child and focus all their rage on him or her, leaving the child an emotional wreck. Swearing and yelling, locking children in basements or closets, breaking their toys as punishment, these are all things that don’t physically hurt the child but still do a lot of damage. In fact this sort of behavior affects even adolescents well in their teens. These children will grow up with an unhealthy emotional being, extremely fearful or fearless, thinking that being loved and a part of a family needs to hurt. They might even subconsciously avoid having a relationship. They cut their children off from social interactions and events. Healthy social interaction is essential for children’s psychological development. Certain emotionally abusive parents resent their children having a ‘way out’ from their control, or fear a loss of authority, or that their child will get ‘new’ or ‘rebellious’ ideas, if given the chance to expand his circle. They often sabotage the child’s extracurricular activities, or enforce restrictions intended to hold the child back from meeting family and friends. Sometimes they give chores, or unnecessarily long homework timings. They refuse to pay for groups or activities in school. This behavior is often more consciously enforced. Such behavior not only cuts the child off from growth, but also greatly hinders the development of his social skills and his overall mental health.